Veronica: A new, traditional style for this chapter (and future chapters, if you all like it!) I’m now painting each page with ink and watercolours. Attentive readers will notice the colour streaking a little on this page and the ones to come. It’s due to our dying scanner, which is no longer able to calibrate itself and is impossible to repair. 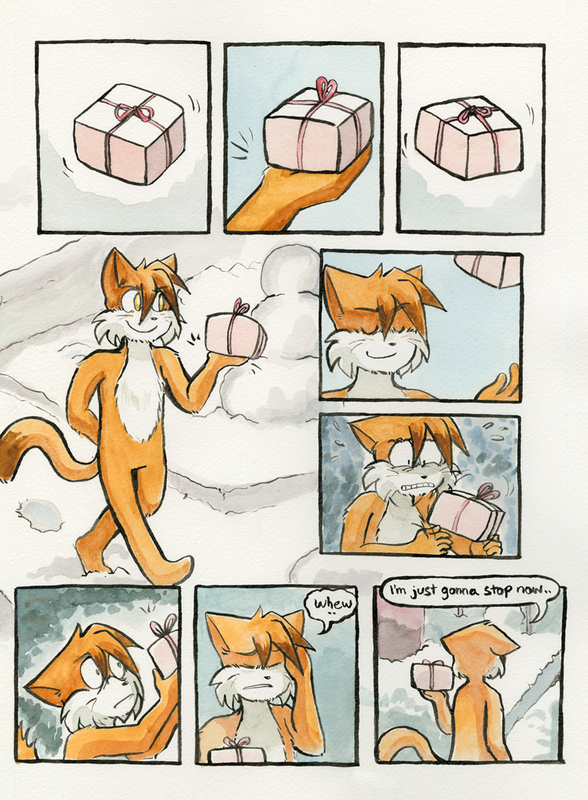 We’re going to replace it soon, but we’re first trying to see if we can raise money to buy a nice professional scanner that will do a better job. 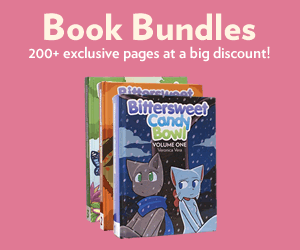 Check the news post below — to raise money, we’re selling original BCB pages (and advanced access to the rest of this chapter) for the first time ever! FINALLY - Check the comments by clicking the little “… comments” button! We wanted to make the homepage a little cleaner and so now, like most other webcomics, you have to post comments on the pages themselves. UPDATE!! Nobody gives a **** about bigfoot We raised the money, bought the scanner and updated the site. It looks nicer now. This feels very nice and lighthearted compared to previous chapters. The artwork feels a little more calm. It’s very comfortable to look at. Overall, I think that it looks very nice and it seems like it’s very versatile. Me Gusta. Kikren April 23, 2012, 12:15 AM EST. What a great way to start a new chapter by having it made with watercolors! It’s starting off really nice and even though you can see the paper texture, to me it’s adds to it somehow in a positive way especially with the snow. Sepiawolf April 23, 2012, 12:16 AM EST. The watercolor and painting is very beautiful and vibrant! I love it, but I think I prefer the old style for the pages. It better captures the detail and clarity that your art has~ Some of the shorter chapters- like this one- in this style would be a pleasant surprise, however! I know I got excited when I saw this page. ChocolateHedgehog April 23, 2012, 12:17 AM EST.